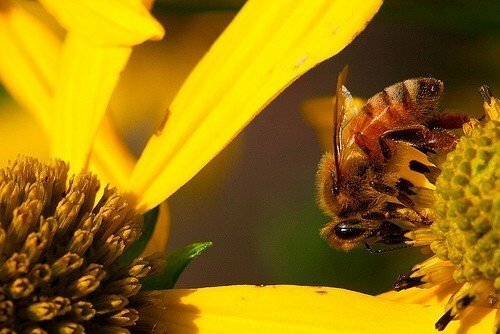 A ban on three controversial pesticides is set to take effect this Sunday, Dec. 1, in the European Union, while leading farmers and beekeepers warn that the alternative pesticides used instead may harm wildlife like spiders, bees and soil-dwelling insects. Still, conservationists say that these alternatives are better than those used now. They say such alternatives could harm bees, soil-dwelling insects and spiders, and lead to higher genetic resistance to pesticides among crop-eating insects. The NFU has said there has not been a full assessment of the environmental effects of the ban, while the BBKA has called for a revision to guidelines on safe use of neonicotinoid alternatives. But invertebrate conservation charity Buglife says that pyrethroids are still a better alternative than neonicotinoids -- neonicotinoids stay around longer in the environment, and are often more toxic. Buglife also says that the neonicotinoid ban shouldn't lead farmers to use more pesticides. "Farmers are already using more pyrethroids than they need to," chief executive, Matt Shardlow, told The Guardian. "All the science suggests 95 percent of the time they don't need to be using it. Farmers have been using both neonicotinoids and pyrethroids with a belt and braces approach. All we have done is take away the braces."